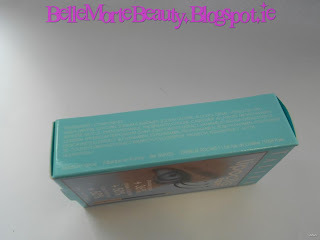 I think we can all agree that Katy Perry has got amazing eyes, so in a bid to get luscious lashes and peepers like hers I've been trying out a range of eye products to lengthen lashes, and brighten and improve around the eye area to banish any fine lines and wrinkles. 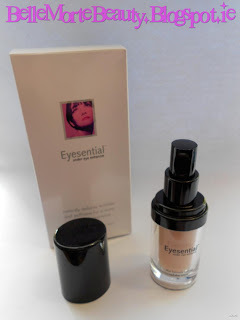 I got these wonder eye products from http://www.treatyourskin.com/ who have a fantastic selection of face, skincare and body products including BB Creams, Cosmetics, Anti-aging products and lot's more - it really is a one-stop shop for all your skincare needs! 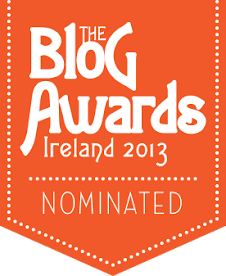 You can also get a 10% discount off your order there by using code "TYSBELLA" when placing your order. 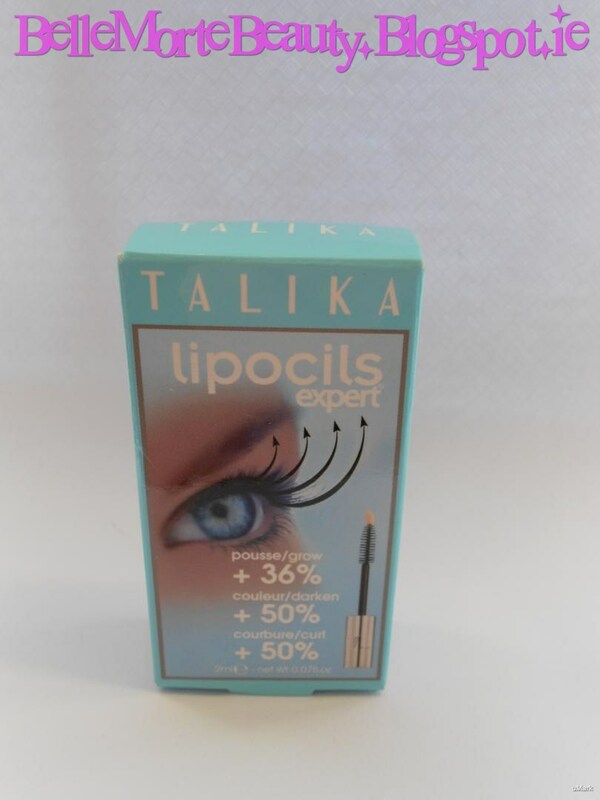 First up is the Talika Lipocils Expert. Lipocils is an amazing lash enhancer which promotes lash growth while also conditioning and nourishing your lashes. 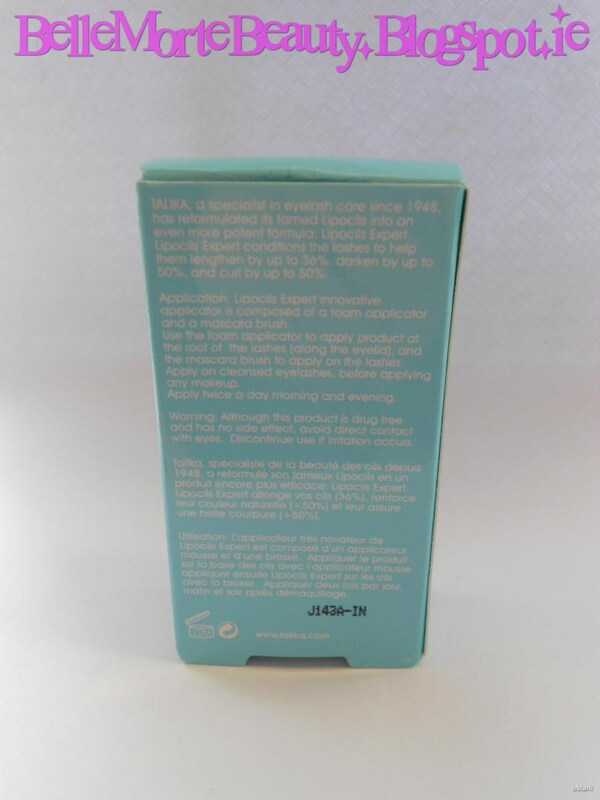 It's composed of a blend of natural active ingredients and this product has been around since 1948 believe it or not! 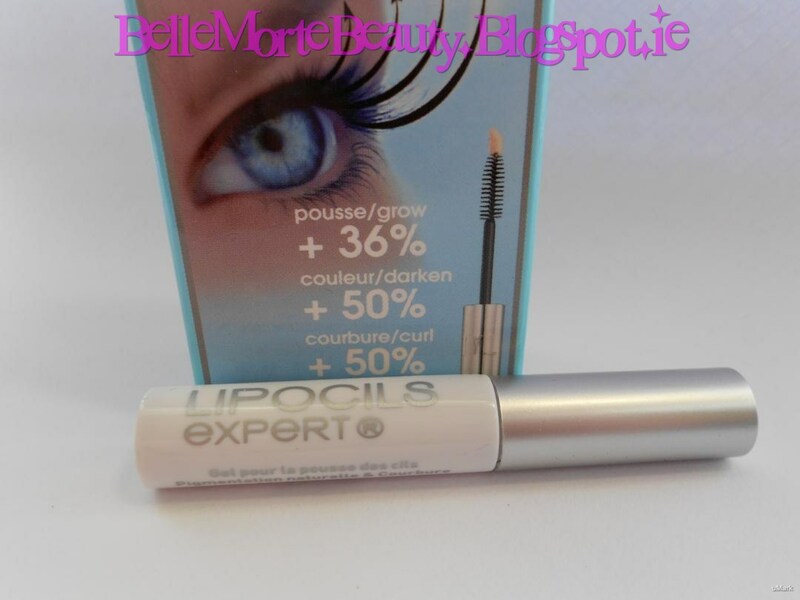 I've seen first hand the impressive results from Talika Lipocils products in the past, and Lipocils Expert is no different. 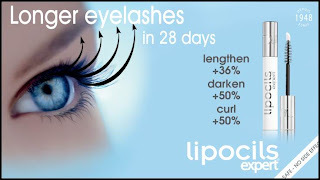 Lipocils claims to: "Lengthen lashes by up to 36%, Darken by up to 50% and curl by up to 50%"
Aqua (water), Sodium Lactate, Carbomer, Hydrolyzed Sericin, Glycerin, Maltodextrin, Phenoxyethanol, Alcohol zdenat., Phosphatidycholine, Sodium Hydroxide, Allantoin, Dextran, Hypericum Perforatum (St. John's Wort) Extract, Pyrus Malus (apple) Fruit Extract, Hamamelis Virginiana (Witch Hazel) Extract, Aesculus Hippocastanum (horse Chestnut) Extract, Urtica Dioica (nettle) Extract, Coleus Forskohlii Root Extract, Acetyl Tetrapeptide-9, Acetyl Hexapeptide-1, Methyparaben, Butylparaben, Ethylparaben, Propylparaben, Isobutylparaben. Use the sponge applicator to apply the product on the eyelids, at the root of the lashes, then, use the brush to apply on your lashes. Apply every morning and every evening for 28 days, then once a day. 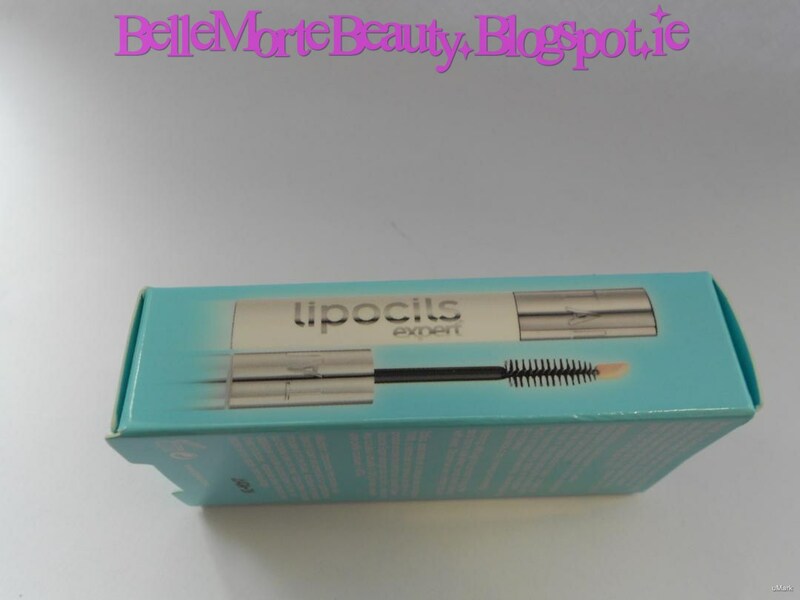 The full size product features a unique doe-foot sponge applicator and traditional mascara wand combination - however as this is just a 2ml sample size of the product, it features just the doe-foot sponge applicator. 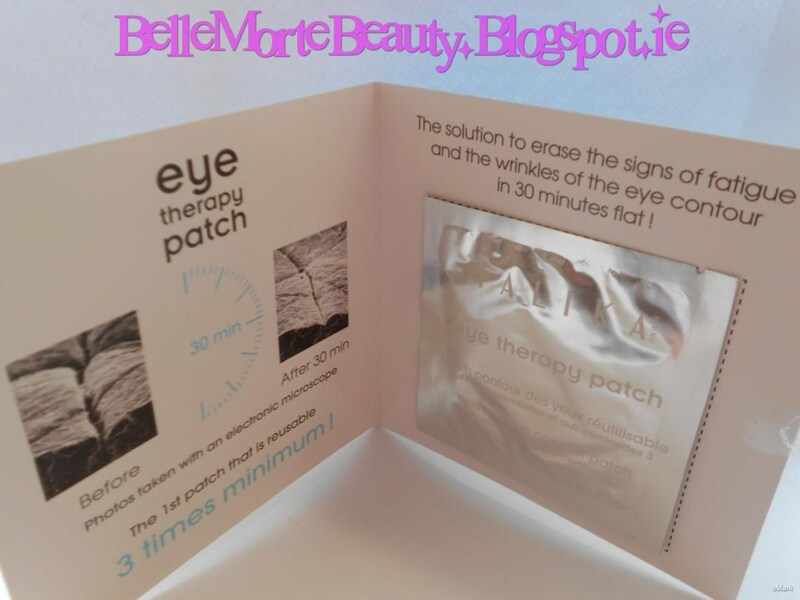 Next up is the Talika Eye Therapy Patch, which is billed as "The 1st Reusable Patch"
This award winning dry patch acts in 30 minutes, delivering moisturizing and anti-ageing ingredients directly to the skin by osmosis. Developed from a post surgery technology. I love the fact that these patches are reusable, so there's more bang for your buck! 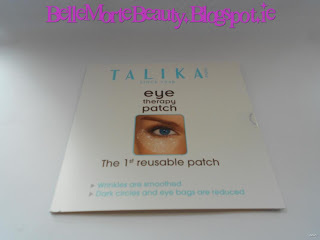 Talika's reusable Eye Therapy Patches revitalize eyes in only 30 minutes. 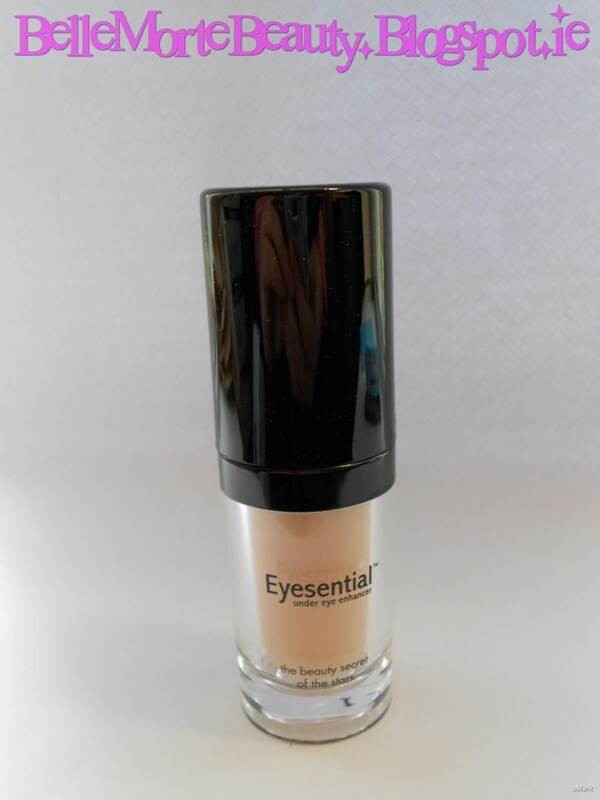 This nourishing formula reduces inflammation, puffiness and wrinkles while eliminating dark under-eyes for a fresh, alert look. These rejuvenating patches can be used up to three times. After 30 minutes I definitely noticed a marked improvement in my under eye area - gone was any puffiness, fine lines and dark circles. The product really does live up to it's claims. My eyes felt refreshed and rejuvenated - the patches do work, however, be warned, the results aren't permanent - after a few days your eyes will go back to their pre-eye patch appearance. Overall, Talika Eye Therapy Patches are an excellent way to get your eyes looking younger and brighter for special events or occasions. These are a quick beauty fix for smoother, brighter, less puffy eyes. You can get them from here; for £29.95 for a box with 6 treatments and a beautiful silver carry case. Again, you can use code "TYSBELLA" to get an extra 10% off your order. 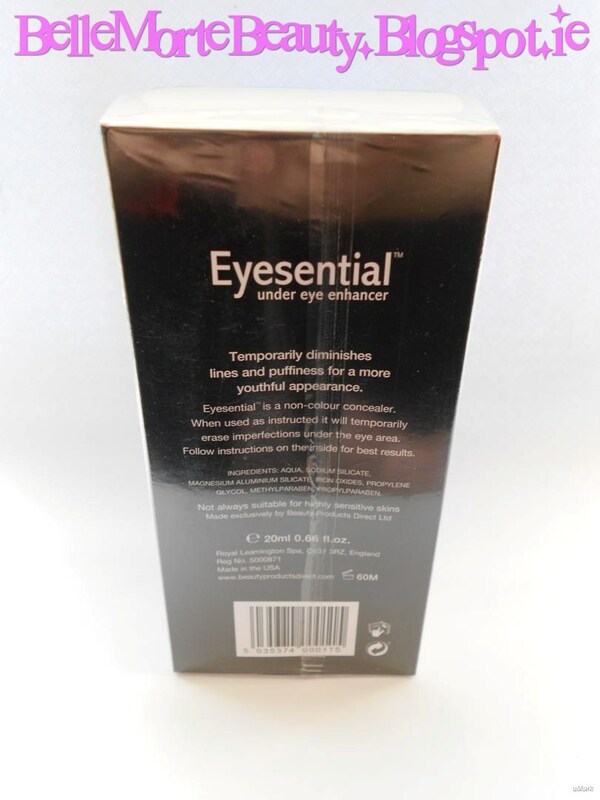 Now onto the Eyesential Under Eye Enhancer. "The Beauty Secret To The Stars"
Developed for the Hollywood film industry, this secret weapon has been used by top make-up artists to the stars for over 30 years to give them an instant eye lift. Celebrity fans include Sarah Jessica Parker, Cindy Crawford, Barbra Streisand, Juliette Binoche, Sigourney Weaver and Brad Pitt. 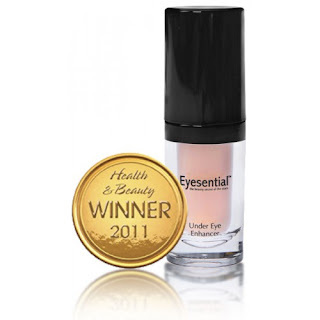 The product states: "Eyesential Under Eye Enhancer is a unique non-surgical cosmetic miracle which temporarily erases puffiness, fine lines, dark circles and wrinkles around the eye. It works in minutes, yet lasts for up to 10 hours. 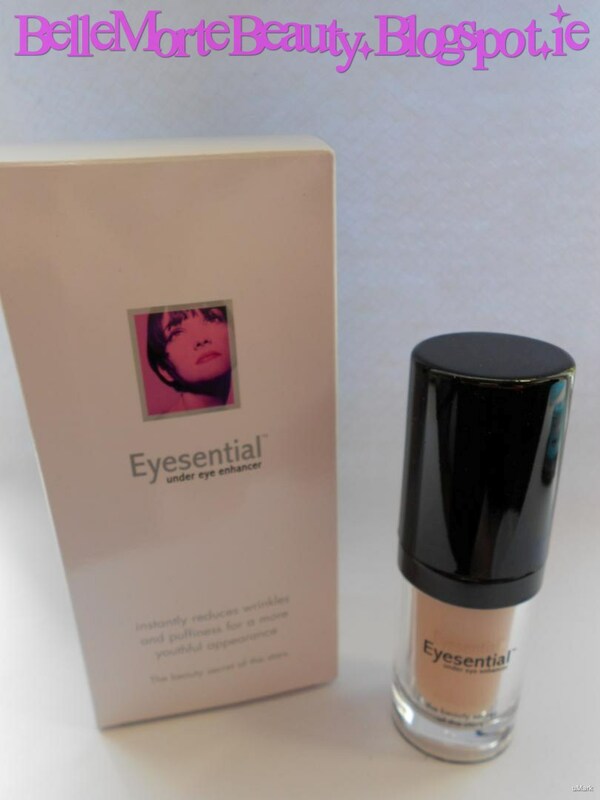 Once applied the non penetrative light weight formula works immediately by forming an extremely fine and invisible veil under the eye leaving the skin noticeably smoother and younger looking." 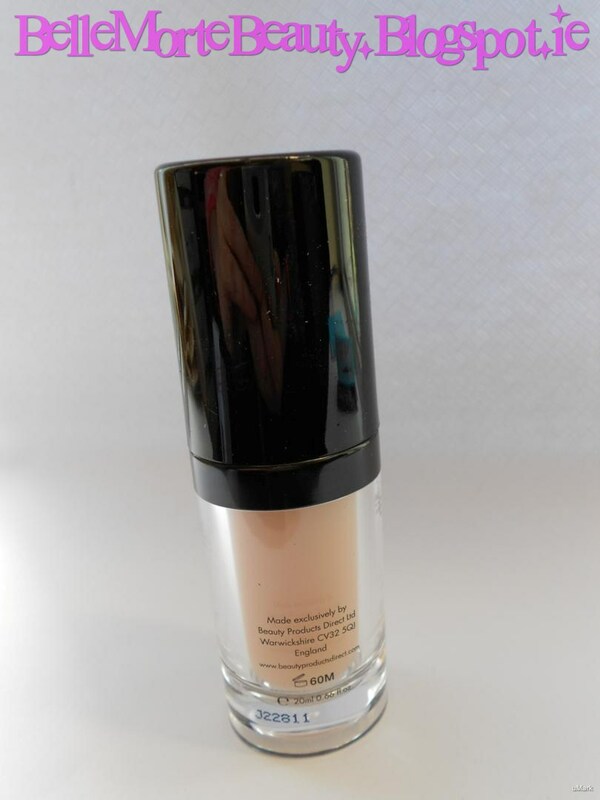 The product comes in a sturdy and classy looking clear plastic bottle. 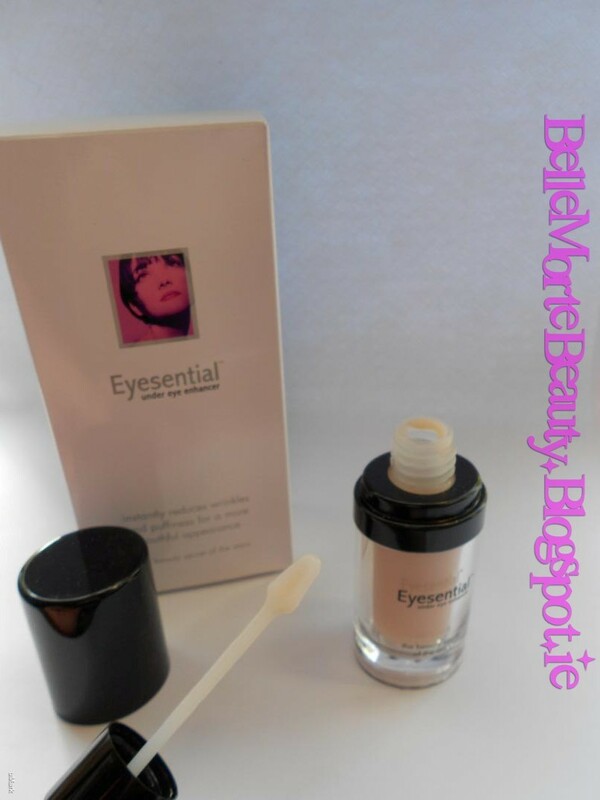 It features a spatula inside which you can use to apply some product to the back of your hand before applying around the eye area, so as not to contaminate the product inside. I've been using this product for a few weeks now and there's been a noticeable difference to my eye area. It really is like an instant "eye lift" for the eyes, results are instant and very noticeable, however, they are only temporary. I can definitely see why this is a favourite with celebs due to the instant firming and toning results. You can purchase the Eyesential from here; At £33.95 for 20ml it's not cheap, however the formula really does work, and you're guaranteed results, so personally I think it's worth it. You can use code "TYSBELLA" when you check out to get 10% off. Last but certainly not least, is Blinc Mascara. 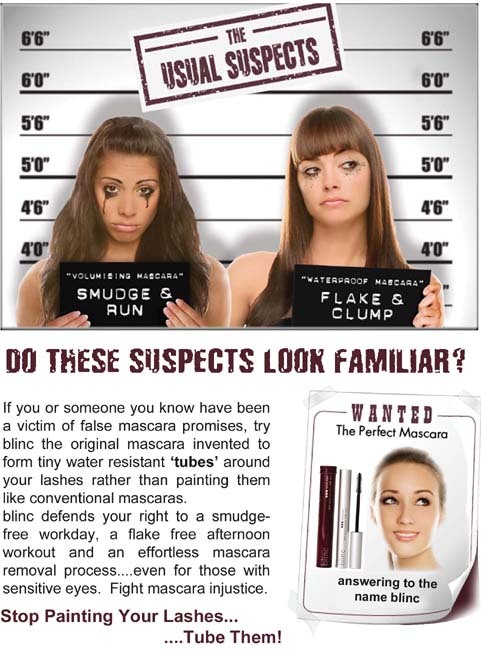 Blinc is the original manufacturer of the "tube" mascara. I had been dying to try out a tubing mascara for a long time, so I was delighted to be able to try out the original and the best - Blinc. Blinc's mascara is the original water resistant mascara to form tiny tubes around your lashes rather than painting them like conventional mascaras. 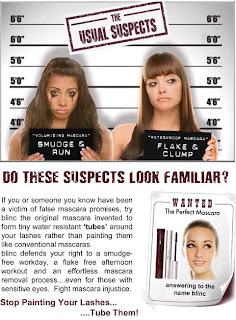 Once applied, the tubes bind to your lashes and cannot run, smudge, clump or flake, even if you cry or rub your eyes. 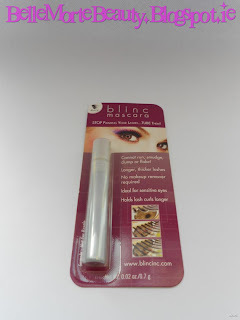 Blinc's mascara will add both volume and length to give you a radiant natural look that lasts all day. 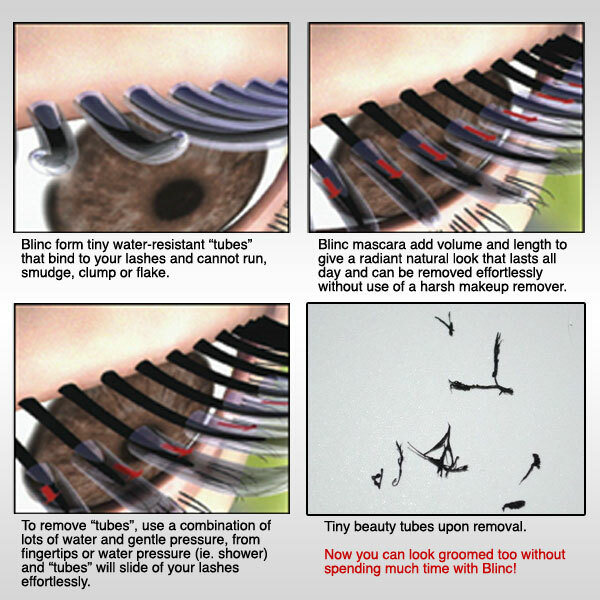 Only when you are ready for removal, the tubes will effortlessly slide off your lashes without the use of harsh makeup remover. Use on clean and dry lashes. Within 2 minutes, apply one or more coats. Keep applying coats until the desired lash volume, length and separation is achieved, before Blinc mascara sets. Once set, additional coats cannot be applied. 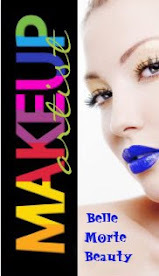 Neither water alone nor pressure alone will remove Blinc mascara. Only the combination of lots of warm water and gentle pressure, from your fingertips, a washcloth or water pressure (i.e., shower), will slide the tiny tubes effortlessly off your lashes. Upon removal, you will actually see the tiny tubes in your hand! Among the nominees in the 2008 Best of Sephora, Blinc Mascara has been clinically tested to be non-irritating, making it ideal for sensitive eyes, contact lens wearers, and active people in search of a mascara whose look, hold, and ease of removal is without compromise. I've been wearing this the whole time since I got it - this mascara is incredible - it does not flake or smudge - once the mascara dries, that's it, you can rub it, wipe it, splash it with water - no matter what you do, this baby doesn't budge and stays flawless! 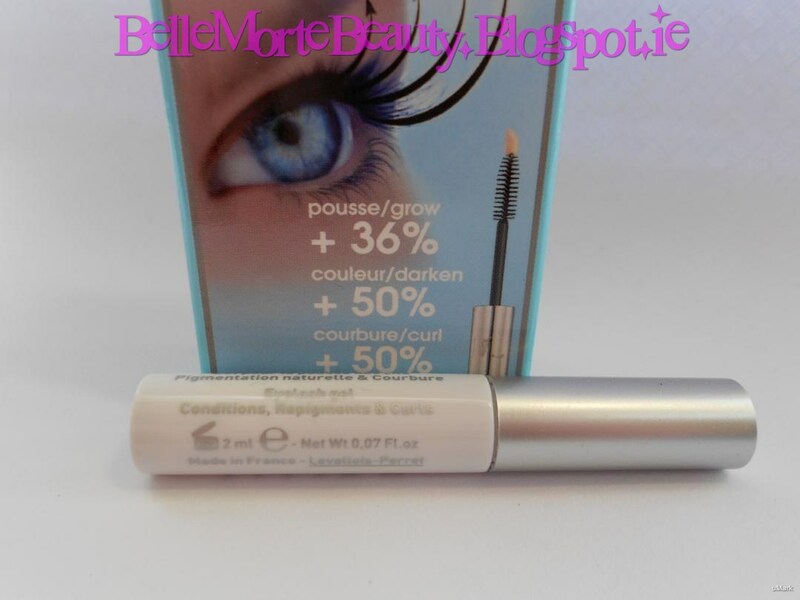 I absolutely love this product, so much so that it has become my "holy grail" mascara. You can also get an extra 10% off by using code "TSYBELLA" when you place your order. 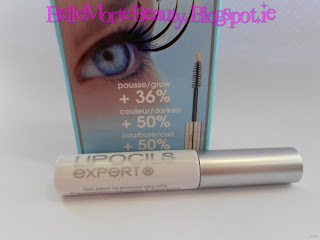 Well guys, that's my round up of my favourite eye products to get your peepers in tip top shape! Have you tried any of the products mentioned? 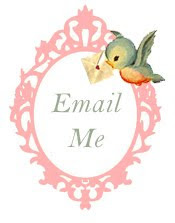 If so, let me know how you got on, I love hearing feedback and opinions from others to see how products worked for you.